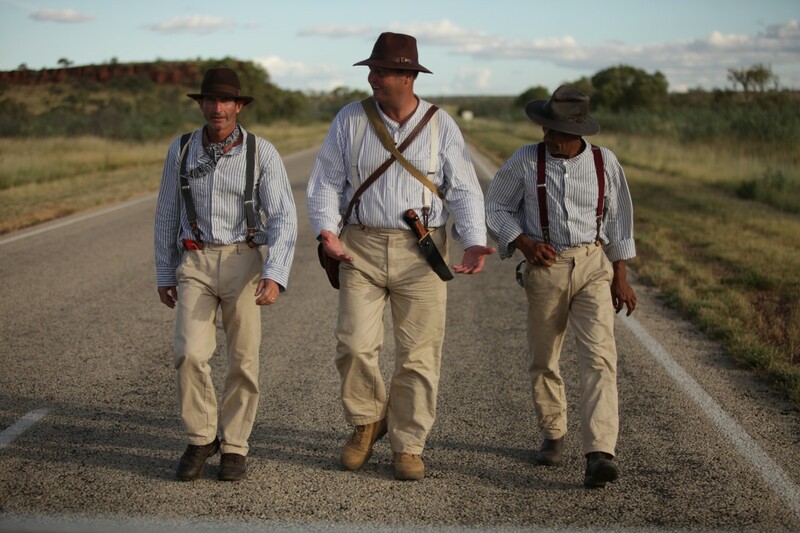 Tim George, Richard Borella and Charlie Cloos (left to right) walking to Banka Banka. 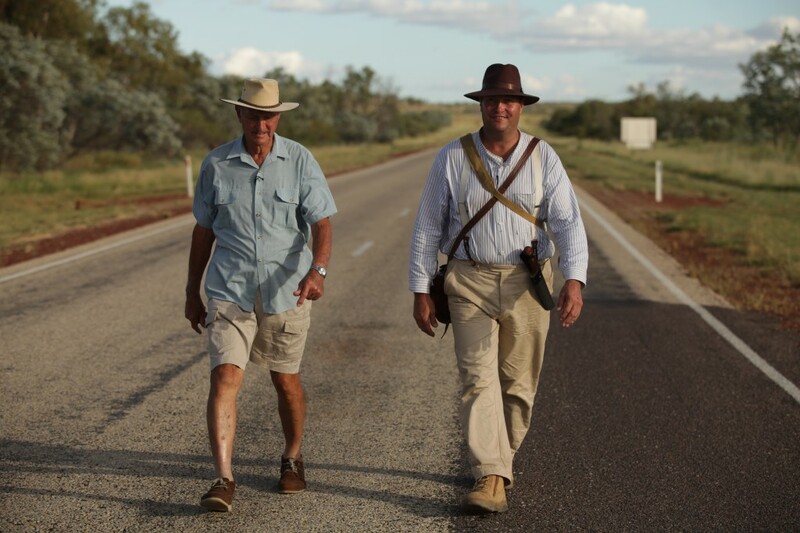 Rowan Borella joins his son Richard Borella on the walk to Banka Banka. Charlie Cloos, Richard Borella and Tim George (left to right) arrive at Banka Banka. Charlie Cloos, Tim George and Richard Borella at Banka Banka. 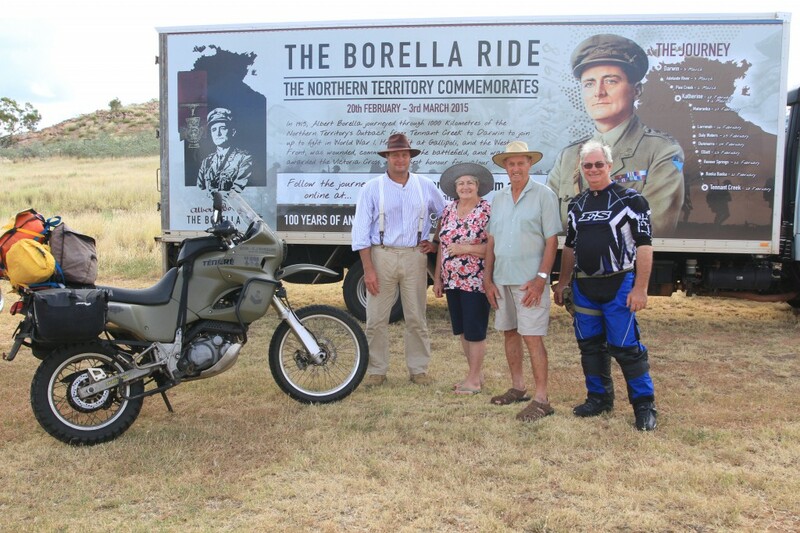 Richard, Mary and Rowan Borella with motorcyclist, John Wheeler. Photo by Luke Paterson. The second day of walking brought The Borella Ride to Banka Banka station, where there were some tired and blistered feet to attend to. The environment was a challenge for The Borella Ride team, with temperatures edging towards 40 degrees. 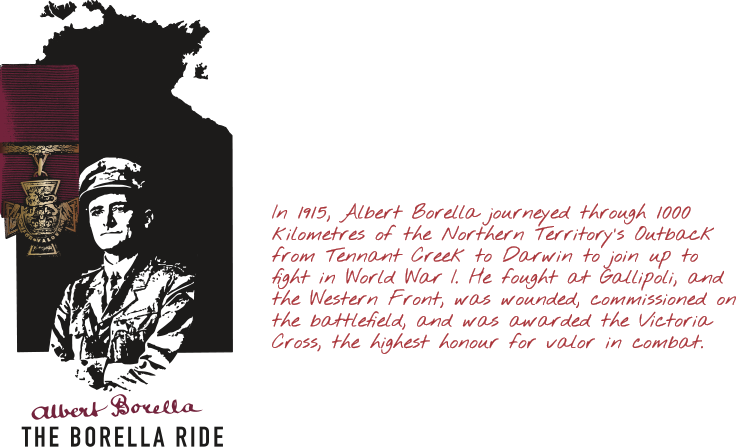 But Albert Borella made the journey during the wet season and to retrace his journey the team would share the same experience. 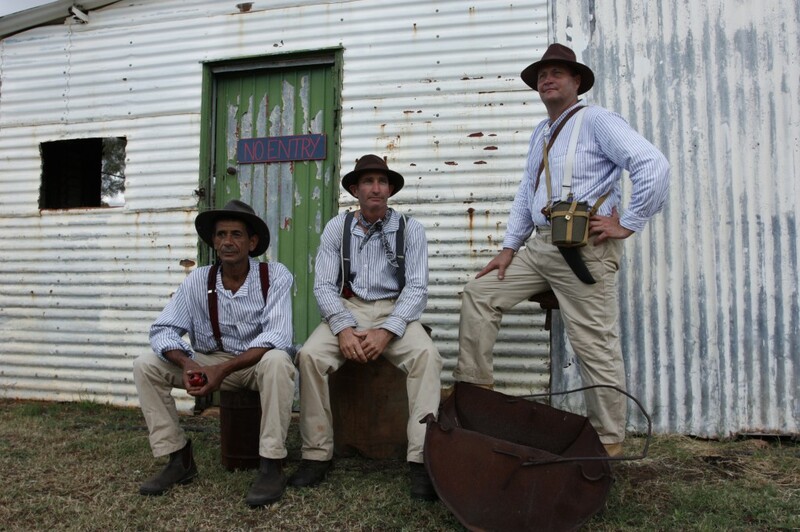 The Borella Ride was joined by a film crew to capture the journey and provide daily updates on the progress of the Ride with the rest of the world. 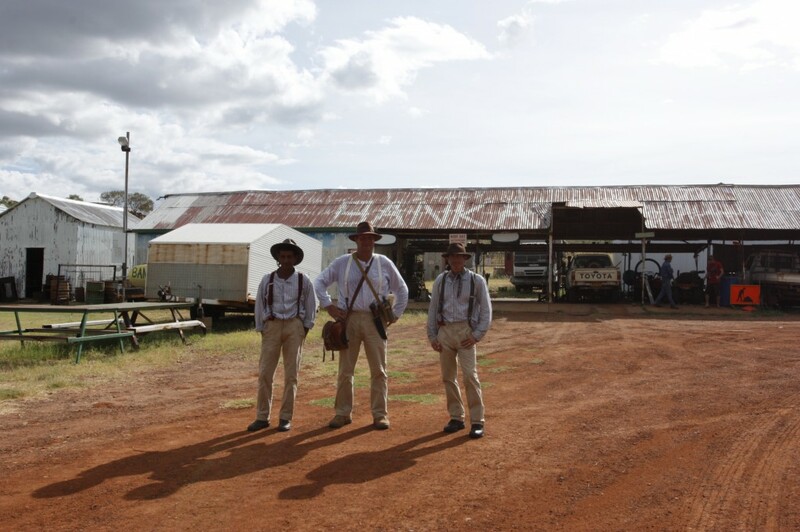 Richard, Tim and Charlie took the opportunity to pose for the cameras in their period costumes around the Banka Banka buildings and also on the hill behind the station, which offered a beautiful view of the surrounding area. At Banka Banka the team also had the pleasure of meeting John Wheeler, a man on his own journey of remembrance. His Yamaha Tenere motorcycle carries three military medal illustrations in memory of John’s grandfather, Battery Sergeant-Major Ted Wheeler, who served in the Boer War and then the Great War. Read more about his story in The Borella Ride Blog. After the team set up camp in the evening, Ted Egan AO sang for the first time a song he composed that day in honour of Albert Borella. It was a special moment for those in the camp, especially the Borella family.